This section contains some fun photos of Sheryl. There are additional photos in the Media Resources section suitable for publicity. 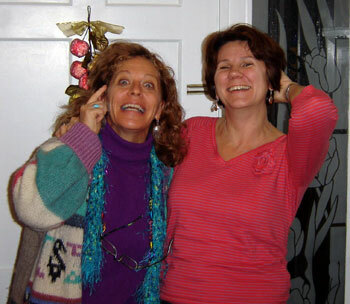 Sheree Fitch is shown on the left. Photo taken: 2007. 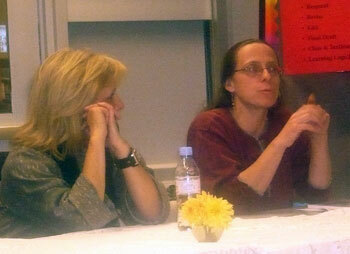 Sheryl hosted Sono Nis Press during a recent Children's Literature Roudtable event. 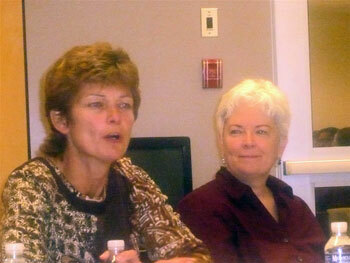 The panel included (left to right) author Julie White, publisher Diane Morris, and authors Sylvia Olsen and Nikki Tate. The photos on this page are protected by copyright.